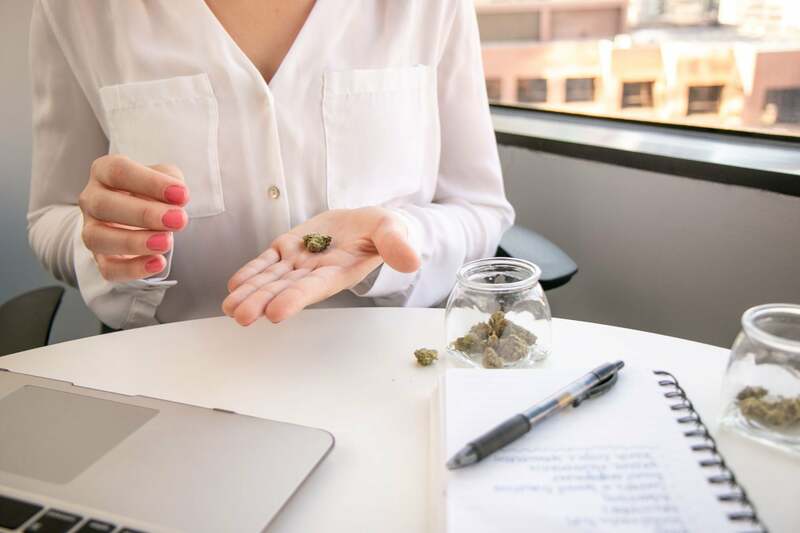 With a majority of states in the country enacting medical marijuana laws, cannabis in the workplace has become a hot button issue for business owners seeking to fashion appropriate workplace regulations for lawful cannabis users. These issues become particularly tricky for employers to navigate because cannabis remains illegal under federal law, and each state has different laws addressing the treatment of medical marijuana users in the workplace. Recently, states with medical marijuana programs have trended towards providing protection under disability laws to employees who are registered as patients in that state’s medical marijuana program. Naturally, there exists a substantial correlation between medical marijuana users and an entitlement to disability accommodations under applicable law. Employers with Draconian cannabis and drug testing policies may face significant litigation risk from employees who suffer an adverse employment action attendant to their protected status as a medical marijuana user. The recent case of Whitmire v. Wal-Mart Stores, Inc. from the federal District Court of Arizona may be a bellwether for how states will treat medical marijuana use in the workplace. The court found that Walmart could not fire an employee for being impaired at work merely because marijuana metabolites were found in her urine. Notably, the affected employee was a medical marijuana cardholder for approximately five years who claimed to only smoke before bed and never at or before work. The court found that Arizona’s Medical Marijuana Act prevented adverse employment action based solely on the presence of marijuana in a lawful user’s system. Instead, the employer would need to demonstrate through expert testimony that the employee was impaired at work — a much higher burden. Other jurisdictions have reached similar conclusions when evaluating claims of adverse employment action against medical marijuana users. For instance, Barbuto v. Advantage Sales and Marketing, LLC reaffirmed Massachusetts’ protections for medical marijuana users who can perform their essential job functions without impairment. Similar to the Arizona case, the employee at issue utilized medical marijuana only at night and never during work hours — a critical distinction at this nascent juncture for how courts address employees treating with medical marijuana. Other states are moving in this direction as well, with Rhode Island courts finding that prospective employees cannot be denied employment if they are holders of a medical marijuana card and would fail a pre-employment drug test, and the New Jersey legislature considering a bill which would provide protection to medical marijuana cardholder employees. Notably, employers may be able to use an applicant’s criminal record for cannabis-related convictions as a basis for refusing to hire an employee — provided the employer does not issue a complete ban on hiring reformed convicts — subject to the laws applicable to that jurisdiction related to criminal convictions in employment contexts. An important take away from the above is that marijuana protections generally apply only to its medical use, not to recreational users in legalized states. Indeed, the type of carve-outs which protected the Arizona employee from termination specifically do not provide protection in circumstances wherein the employee possesses, uses or is impaired at the workplace. Thus, at this early stage of cannabis jurisprudence, employers need not concern themselves with testing for the extent of impairment at work as an employee who partakes at work or is impaired to any degree is subject to appropriate discipline as a result of that conduct. Most states with medical marijuana programs explicitly provide that employers need not tolerate employees who are “under the influence” at work, therefore drawing a clear demarcation between preventing discrimination against medical marijuana users and “accommodating” the use of medical marijuana, particularly on-site or during work hours. With these precepts in mind, multi-state employers will need to ensure their cannabis policies are flexible to adapt to developing guidance from the Courts. Furthermore, employers in states where medical marijuana is legal should avoid so-called “zero tolerance” policies — unless the employer is a federal contractor — which could lead to litigation if improperly applied to employees protected by a state’s medical marijuana program. Policies that focus on impairment rather than prescribing a blanket prohibition on use are generally favored. Employers should ask medical marijuana using employees to acknowledge they will not consume the product during work hours or onsite and will not perform work functions while impaired. Furthermore, employers must consider the scope of the employee’s job functions and proactively examine whether a safety risk would arise if an employee treating with medical marijuana is permitted to perform certain job functions. Many employers are concerned with their liability for any tortious conduct an employee may engage in while under the influence of cannabis. Notably, each state has different laws imposing different standards governing the employee/employer relationships in this context. Preliminarily, employers should be careful to restrict employees who are medical marijuana users from performing tasks which create significant safety hazards. Generally speaking, an employer will be liable for the actions of an employee who is acting within the scope and course of his or her employment at the time of the tortious conduct. Although this a developing area of law, employers can look to the laws of their state, and particularly how they’ve treated similar circumstances such as employees under the influence of alcohol, to determine the likelihood that the employer can be held liable for tortious conduct while under the influence of cannabis. Furthermore, although some employers may be concerned about absenteeism or similar problems in a state with medical cannabis, recent studies have shown as much as an approximately 10 percent drop in sick leave taken and absenteeism in states with less restrictive medical cannabis laws. While more research is needed, it appears that employers should not be overly concerned with an increase in absenteeism as a result of cannabis legalization. Related: Is Drug Testing Employees Required in Legal States? Importantly, it is critical for employers to ensure that their policies relating to cannabis and drug testing, including policies related to hiring and retention of medical cannabis users or cannabis related criminal offenders, are compliant with applicable state laws and that these policies are clearly and fully explained to all employees. Consult legal counsel in crafting appropriate cannabis workplace policies and defending cannabis use litigations.